Social Media and Public Relations have been intertwined for a number of years. PR-enabling phenomena such as selfies, Instagram and Snapchat filters, Facebook Live and Periscope, have become completely ingrained into our day-to-day lives. Increasingly, the likes of Facebook, Twitter, Instagram, and Snapchat, are taking on larger roles in PR agencies. PRs have to change the way they think and operate, and agencies need to adapt quickly or risk being left behind. This post examines the role that social media will play in the future of PR, and how the industry needs to adapt and account for its ever-increasing influence. 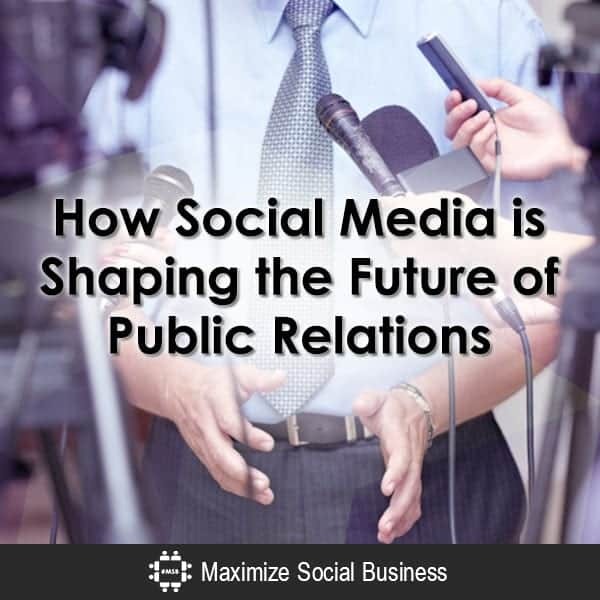 Before delving into the future of social media and PR, it’s important to note that social media has already changed the course of public relations, almost beyond recognition. Social media affords individuals an opportunity to show a different side of themselves and allows a brand to show more of its personality. With this shift, PR has quickly adapted to a platform that has a much faster response time and wider audience engagement than PR techniques of old. In light of the rapid, unprecedented emergence of social media, it’s no longer enough to simply send out a press release and wait for coverage from journalists. These days, content needs to be monitored in real-time and created on a regular basis. The key is to monitor what’s trending on social media and create content that engages with it and builds upon it. The Dove alternative facts campaign in a great example of how to utilize current trends and social media talking points to create relevant and engaging content. By nature, social media platforms lend themselves well to data analytics. Not only do most platforms come with their own analytical tools, such as Twitter Analytics and Facebook Analytics, but there is also a wide range of third-party tools available such as Sproutsocial and Hootsuite. These are ideal for monitoring progress. The analytic-friendly nature of social media will translate across to PR. It will become even more data driven, as PRs use data analytics to inform future campaigns and improve current ones. In light of all this, social media management and analytic tools will play a much larger part of PR. And the industry will also require professionals that are trained in effectively using them. By using the correct tools, PRs be able to provide a more accurate overview of the success of their campaigns. They will also be able to give it a more accurate context when reporting back to clients. Data-driven PR is not only the future of PR, but it’s a necessity keep your brand relevant in an age of fake news and oversaturation of information. Data analytics will also contribute to building more successful campaigns. Consider Barack Obama’s successful 2012 reelection campaign, which was heavily focused on social media data and analytics in order to determine how campaign messages resonated with different audiences. Obama’s team successfully used data gathered through Facebook, which allowed the delivery of targeted messages to mobilise voters. This use of micro-targeting worked by gathering data through Facebook Connect whenever individuals signed into the reelection website or volunteered for the campaign. According to Syndacast, video content will make up 74% of all internet traffic in 2017. Social media has already adapted to this with the successes of Facebook Live and Instagram stories. This rising trend in visual content means that PR will not only have to adapt to a new type of content but also a new format for successfully delivering brand messages. A natural evolution from visual content will be the increased use of 360-degree video, and eventually a fully immersive visual experience (AR/VR). According to Facebook Newsroom, users currently spend on average 3x more time watching Facebook Live videos than other types of video content on the platform. By utilising visual content on social media, brands can engage in a more direct way with audiences. The result of this is the requirement for PRs to have new skill sets and to be able to effectively film and edit visual content. The rise of visual content has been followed by a rise in augmented reality. Most notably in the form of Snapchat’s filters that can be used across static images and video content in the app. >More recently, Snapchat has expanded its collection of lenses to encompass the world around the user and not just facial filters. This opens up new possibilities for brand engagement and promotion on the platform. Ephemeral content – content that only lasts for a short period of time – has also shaped the way in which the public and PR professionals use social media. The blink-and-you’ll-miss-it nature of Snapchat content gives the illusion of exclusivity, while targeted location-based content comes across as relevant to individual users. The platform offered by Snapchat has been successfully used by brands to engage with consumers. With the expanding features the app offers, this will only increase. WWF successfully used this platform by capitalising on the selfie trend and using the fleeting nature of Snapchat to emphasise how quickly endangered animals become extinct. The campaign sent users adverts featuring different endangered animals, along with the tagline “don’t let this be my #lastselfie”. The success of the campaign earned a and was also featured on my post of 5 examples of creative and effective social media PR campaigns. With 100 million daily active users and over 10 billion daily video views, Snapchat is an already-established, yet still growing platform that PR professionals must become familiar with. As Snapchat usually offers quite personalised and in-the-moment content, PR will need to adapt to this platform. Creating content for it will differ greatly from other social media platforms, and it cannot yet be queued such as a tweet or Facebook post. Social media press releases (SMPR) are already used alongside traditional press releases, but could eventually end up taking their place altogether. As was the case with the Canadian government which chose to replace its traditional press releases with SMPRs. The concept of a social media press release is that the content is easily shareable, and takes advantage of the linking, multimedia, and social media capabilities offered by a digital format. SMPRs also encourage a two-way symmetrical dialogue with the intended publics, rather than just maintaining one-way channels of communication. Although SMPRs are still being sent out alongside traditional press releases, in the future they could replace them altogether. 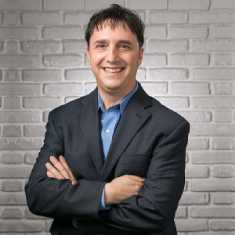 Social media has also ushered in the need for building relationships with key influencers. Bloggers and vloggers now make up a significant part of PR, and blogger outreach is viewed with the same level of importance as media relations. However, the public is well educated and the use of high profile influencers is becoming increasingly frowned upon. Instead, the future of social media influencers and Public Relations is to use multiple influencers with a smaller audience, lending a brand more authenticity, rather than just going after the big names who have become brands in their own right. When it comes to social media influencers, the current trend has shifted towards micro-influencers: individuals with 100,000 followers or less. The benefit of using micro-influencers in a campaign is that their engagement rates are usually consistently higher than more well-known individuals. This gives their content more authenticity. Moving forward, the future use of influencers in social media campaigns will be geared towards the use of multiple micro-influencers and finding influencers that will generate genuine engagement between your brand and its audience. Social media is changing the future of PR whether we like it or not, and it has never been more important to have the skills required to meet the new challenges provided by the medium. However, the 2016 Digital PR and Communications report by the PRCA found that 53% of agency staff said they required more training in digital/social media. In contrast, their 2016 annual report found that digital and social media was one of the top 5 duties amongst PR professionals. Having basic digital skills is no longer simply an asset in PR, but increasingly a requirement. Having an understanding of social media, SEO, and digital content creation are essential for improving your employability, future-proofing your career, and the maximising the success of client PR campaigns. Now you’ve read about the ways in which social media is shaping PR, do you have any other examples you’d like to share or favourite emerging trends? Let us know in the comments below! Sophie Chadwick is an expert in Public Relations. Sophie is an account director at award-winning marketing agency, Peppermint Soda (@Peppertweets).